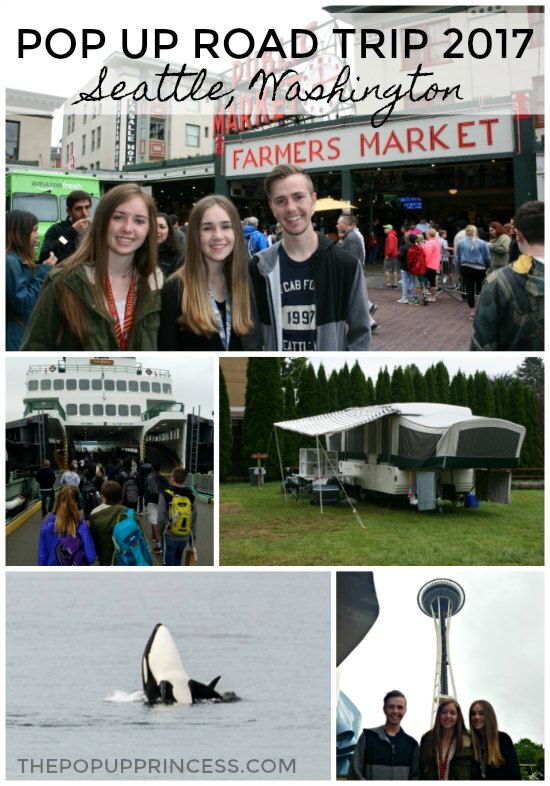 The next stop on our road trip this past summer was Seattle, Washington. Yes, we’ve been to Seattle before, so it technically wasn’t a new place to explore. You can read about our 2015 trip here. Seattle has so much to offer, though, that this felt like an entirely different experience. Mr. TypeTwoFun works for a company that has an office in Seattle, so it is easy for him to head up north and work out of that office while we explore. This year we wanted to stay a little bit closer to town, so we made reservations for Vasa Park. Camping is Seattle is tricky. There just aren’t many places to camp close to town. Vasa Park really wasn’t our idea of camping, though, even in the city. Staying here was a bit of a challenge for us. I’m going to start with the less positive parts of our stay–just to get them out of the way–then we’ll move on to the positives. When we pulled into the resort, in true Seattle fashion, it was pouring rain. We ran into the office to check in. The woman at the desk was rough around the edges, but seemed helpful. She told us our site number and said the sites might be a little tight. That was the understatement of the year! We were packed into that grass parking lot like sardines, but we pulled into our very narrow site (#4) and made the best of it. The day we arrived, we were sandwiched between two tent campers, so we had a little more room to set up. Our camping setup probably would not have been so “spacious” had we had RV neighbors when we were pulling in. 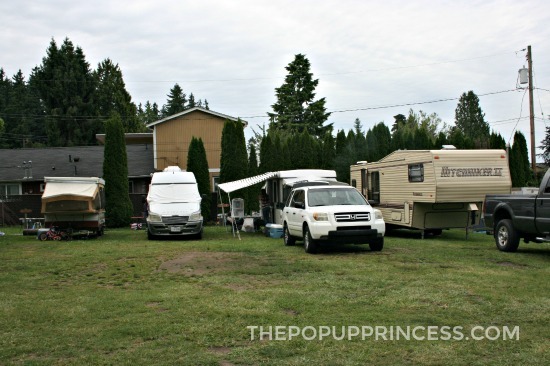 The next few nights, campers came and went, but the campground was always full. During the day, Vasa Park hosted corporate events and was often open to the public, so there was a lot of non-camping traffic as well. It was definitely not a relaxing place, as there was very little privacy and quite a bit of noise throughout the day and into the evening, but it was also very kid friendly. Our site had electric and water, but no sewer. There was a dump station a short walk away, though. We did have a row of small picnic tables and trash cans behind the our site, but no firepit or grill was available. 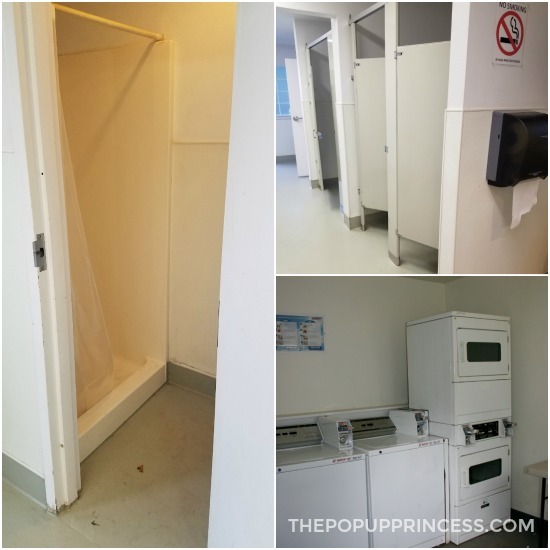 Vasa Park has some sinks and dishwashing stations just across from the campsites underneath the pavilions, however those were only available when they weren’t reserved for corporate events. Our site cost us $43.50/night, which was definitely steep for what we got. We would have paid much for for a hotel, though, so it was kind of a compromise for us. Most of the sites in the park were just like ours. There are a couple of full-hookup sites close to the water, but they book up quickly and are just as tiny. We made our reservations six months in advance, and they were already gone. 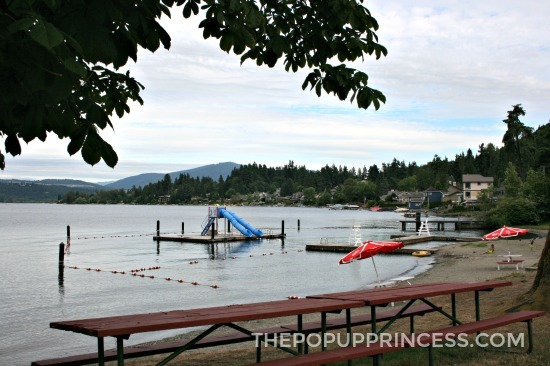 Vasa Park is right on Lake Sammamish, and they have a great beach area. It was a little too cold for swimming while we were there, but I imagine that Lake Sammamish is a big draw in the later summer months. The park had a dock, swimming area with water slides, and a boat launch. There was also a playground near the water. It seems like a perfect place for kids to spend a summer afternoon. Of course, the biggest positive for us was that Vasa Park was close to everything Seattle had to offer… and there is a lot. We never had more than a 30 minute drive, which was great. We first hit all the usual Seattle landmarks, just like we did in 2015. You can read about more about those here. Seattle Center and the waterfront area are a lot of fun, and there is so much to do, that it felt like a completely different experience this time around. This year, we wanted Mr. TypeTwoFun to come along with us, so we planned many of our activities on the weekend. It was so much busier on the weekend than it was during the week. We enjoyed our time together, but the crowds were intense. If you’ve got any wiggle room in your schedule, definitely try to plan your activities during the week. We loved it so much last time that we hit the Museum of Popular Culture again this summer. 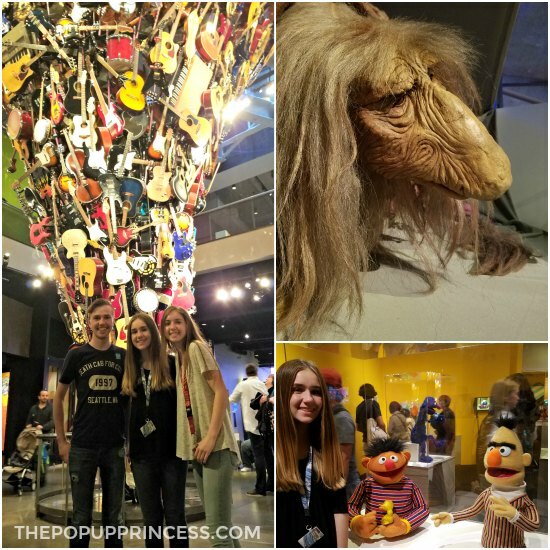 The museum exhibits change frequently, and this year we were able to see the Jim Henson exhibit. That was huge for my kids. I mean, who doesn’t love Sesame Street? But we are also big fans of Labyrinth and The Dark Crystal, so it was amazing to see some of the actual puppets and costumes used in those movies. In addition to our old favorites, we also visited some new places. 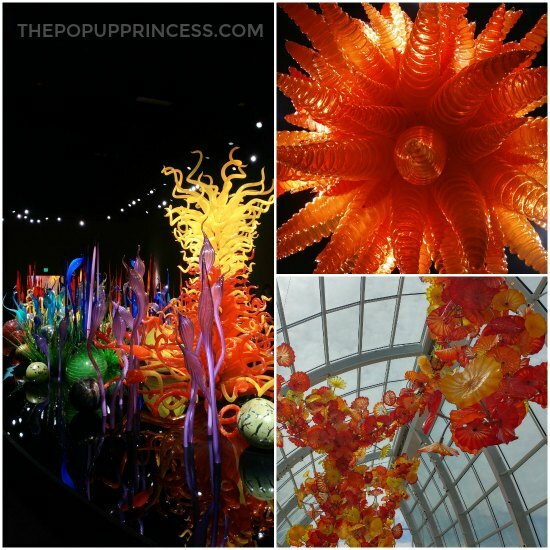 One of those was the Chihuly Garden and Glass. When we visited Seattle last time, our kids were far too young to appreciate the gardens, especially since the price is so steep. We decided to put our limited funds elsewhere. This year, we really wanted to check this sight off the list, so we ponied up the extra money for a visit. I have to say the gardens are breathtaking. We really loved the way the glass was placed within the plant life, making it look completely organic. This is definitely not a place for younger kids, though. There are so many breakable exhibits, and the walk-thru really only took us about 20 minutes. My kids are older, and they enjoyed it, but our money would probably have been better spent at the science center. 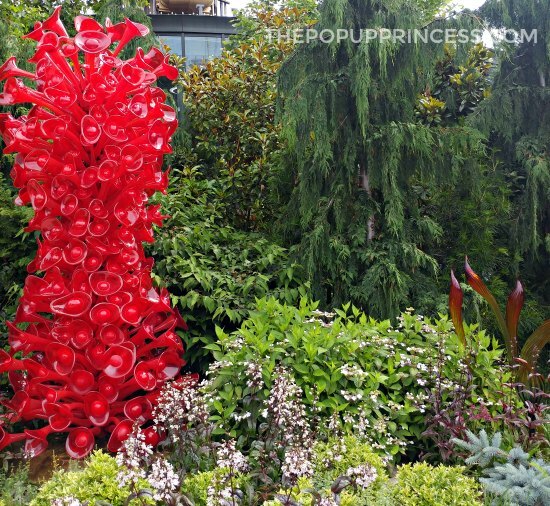 If you are a big fan of glass blowing or Chihuly’s work in general, don’t miss the gardens. They are magnificent. If you’ve got little ones, though, you may want to skip them in favor of one of the other awesome attractions in the Seattle Center. We also rode the monorail down to the Seattle Aquarium and took in a laser light show at the science center, but the absolute highlight of our time in Washington was our trip to Friday Harbor on San Juan Island. We drove up to Anacortes to take the ferry across to Friday Harbor. It was about 1 hour and 40 minute drive up to Anacortes, but so worth it. We had never taken a ferry before, and it was a great experience. I am absolutely going to have to do a separate post about this part of our trip, because there was so much to do and see at Friday Harbor. We even took a whale watching tour, which was really amazing. There is nothing like seeing wildlife in its natural habitat. I am not a big fan of boat rides, as I get serious motion sickness. This tour was amazing, though, and I didn’t feel seasick once. We will never forget the experience, and although it was pricey, I am so glad we splurged on it, because it was worth every penny. It was so much fun to walk around Friday Harbor, grab some lunch, and do some unique shopping. If you have to chance, definitely make the trip. It is a lot of fun for the whole family. What’s a trip to Seattle without visiting the Pike Place Market? There is so much to do in the waterfront area. If possible–especially if you have little ones–visit the waterfront area during the week. It will be less crowded, you’ll have an easier time finding places to eat, and it will be much more enjoyable all around… and far easier to keep an eye on your kids! Don’t miss Seattle Center! Not only will you find the Space Needle there, you’ll be able to visit the Museum of Popular Culture (MoPOP), Seattle Science Center, Chihuly Garden and Glass, and the children’s museum and theater. There are also some great places to grab a quick bite while you are exploring and a monorail station to take you closer to the waterfront. Our kids loved it there. If you get the chance while in Seattle, definitely splurge for a whale whatching tour. It was the highlight of our trip. We’ll post more on our experience a bit later, but the whole family LOVED this part of the trip. It might have been my favorite activity of the entire vacation! 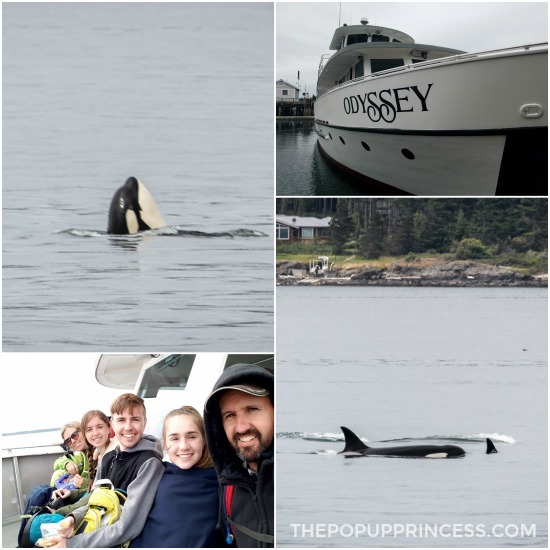 There are a few different companies that run whale watching tours out of the Puget Sound area, but we used San Juan Excursions, and loved them! Highly recommend! I’m sure we will be back to Washington soon. We love the area so much, we don’t seem able to stay away. If you’ve never been, it should definitely be on your “must-see” list. 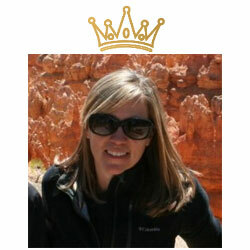 And if you’ve been, we’d love to hear what we missed and what should be on the itinerary for the next trip. Feel free to sound off in the comments below! Thank you for your post. With all the crazy world events it’s even more important to celebrate family trips and the memories they create. Your campsite review is spot on. We all try to make the best of each site and location sometimes trumps beauty and cleanliness. 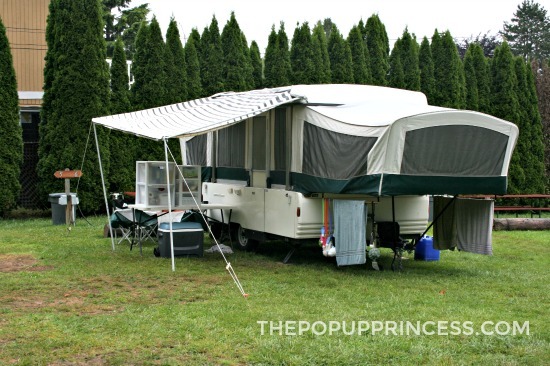 We both pop-up camp and car camp. Have not been to the west coast yet for camping but sure enjoy your vacation recaps. Your blog posts have helped us maintain a 1995 Coleman Utah and given us western states travel ideas. We went to Colorado’s great sand dunes national park based on your post. 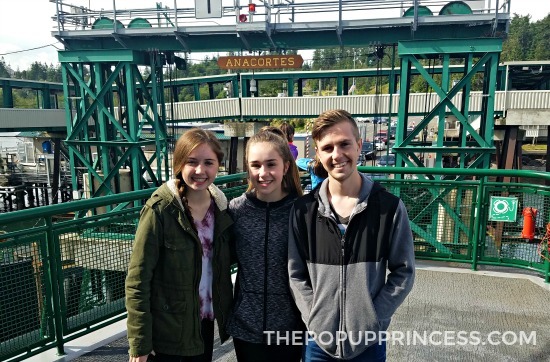 Loved reading this particular post of your family trip to Seattle and San Juan Island! My husband and I fell in love with Seattle and the San Juan Islands a few years ago. We have not camped in the NW yet (mainly camped around the midwest through the years), but this past year we ended up buying a small cottage on Orcas Island (one of the San Juan Islands serviced by the ferries). The jewel of Orcas Island is Moran State Park. It is the highest point in all the islands and the view from Mt. Constitution is spectacular! Moran State park has the most beautiful campgrounds I have ever seen! You will see many pop up campers, tents, and various RV’s around the beautiful Mountain Lake and Cascade Lake. There are places to swim and gorgeous hikes along waterfalls. 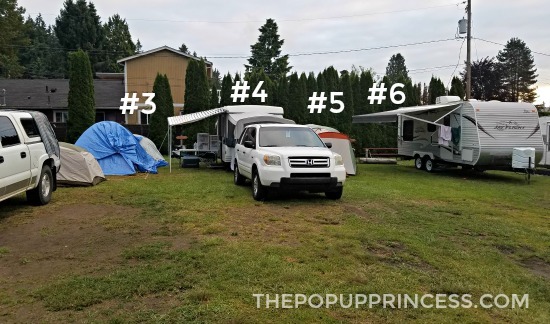 We tent camped through the years with our three sons, but now plan on buying a pop up to renovate so we can use it to explore more of the PNW in retirement. Looking forward to sharing these experiences now with our grandsons! Thank you so much for your posts and inspiration! If you’re looking to come back to the area again I would recommend this Carnation campsite–a lot nicer than where you stayed and probably not much different timewise to get to Seattle: https://www.kingcounty.gov/services/parks-recreation/parks/parks-and-natural-lands/popular-parks/toltmacdonald.aspx. I have not stayed here (because I don’t live too far away), but my kids and I have visited the river in the summer. The campsites are big and it’s a quiet spot. Haven’t been on your site in a while, but always good info. We have a popup very similar to yours (although not quite as princessed-up – unfortunately for my wife), live in Missouri just west of St. Louis, and are headed to Glacier this summer (2018). I came across your post about the 2 Glacier campgrounds. Got me curious about the rest of your 2017 trip, and when I saw your Seattle info, I had to laugh. We did a huge northwest road trip in 2016, and stayed at the exact same campground! Actually in one of the very tight full-hookup sites just across from the field where you stayed. Not the best or most open, but not bad, and as you stated, very close to Seattle. My youngest son named some of the ducks that were all around the campground. 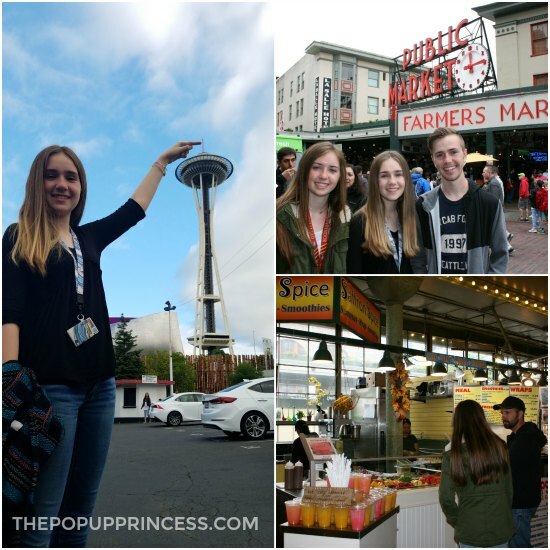 So much to do in Seattle area – wish we were closer! From there we headed down the Oregon coast, then back eastward, visiting Crater Lake (A-MAZ-ING) and many other awesome locations. Thank you so much for all of your great info. Keep it up! Sorry, but had to add: Just got to your post about Collier State Park. That’s exactly where we stayed when we visited Glacier (So funny! )., We were only there 2 nights and didn’t have time to do the logging museum, so now I know what we missed. And I have to add about the comment regarding the worst mosquitos – they’re at Ft Stevens in NW Oregon (incredible camp sites and park near Astoria, but prehistoric mosquitos). But I guess we’ll see later this year if they’re worse at Glacier.. and I’ll have to try a Thermacell. Late to the post! But if you come again I’d recommend Kanaskat Palmer in Enumclaw. Super nice, very pop up friendly…and even though it looks far from Seattle you can actually just drive about 20 minutes to Sumner or Auburn and catch a train into Seattle (Save on the parking!! ).